Since literally no one is offering their thoughts or speculation on the “iWatch”, I thought I’d weigh in to fill this tremendous vacuum and blah, blah, blah, more jokes pretending no one’s talking about it. I can’t tell you what an “iWatch” might do and I can’t tell you what would actually sell. All I can do is tell you what I would want in one, so here’s my lame list of things I’m interested in seeing in an Apple wrist-wearable thingamabob. I don’t want notifications. It’s OK if they’re there as long as I can turn them off (or down). I don’t want to be distracted any more than I already am by my phone. My kid sends me 10,000 Game Center notifications a day. My MacBook Air frequently informs me of FaceBook activity that I could not possibly care less about. If I have those on my wrist I will go insane and I will somehow spontaneously combust, possibly taking out several kittens and puppies nearby. Nobody wants that. Most of the wearables so far seem heavily focused on notifications because many are driven by Android which desperately wants you to keep using the software in order to get your activity data and/or show you ads. Payments? Yes, please. I posted the picture on the right to Twitter the other day after rumors were floated saying Apple was set to announce a new payments systems and devices that use NFC. To tell you the truth, this is the first time an “iWatch” really made sense to me. 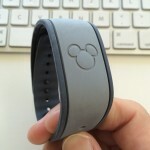 If you’ve ever used Disney’s MagicBands you know that they’re kind of scary because they make it so easy to buy crap but, on the other hand, they make it so easy. As an added feature to the other things on this list, the ability to pay for something by tapping my wrist on a reader would be pretty great (assuming security haha iCloud LOL). A watch. This watch thing? It needs to be a watch. I don’t think I’m being unreasonable here. And a nice-looking watch, too, not those monstrous freaks of nature that have dominated the category so far. Maybe an iPod. I’m not very excited about plugging my headphones into my wrist, but if I didn’t have to take my iPhone when I go running that would be a plus. Sensors. I don’t want other people to know about my movements and vitals, but if I could know about them that would be nice. That’s all I’ve got. I’m sure there’s some other stuff that would be cool that I’m not thinking of. I mean, that’s pretty much a given.